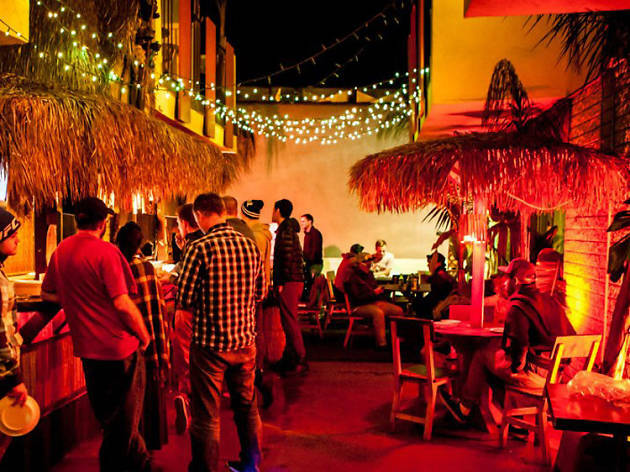 Located in the Fairfax District, this Banana Bungalow location is one of the most centrally located hostels in L.A. In a matter of minutes guests can be shopping on Melrose or eating at the Original Farmers Market. This two-story hostel offers private and shared rooms, most with their own bathrooms. 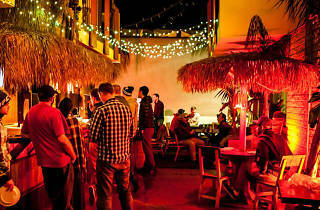 Their tiki courtyard turns into a laid-back hangout at night where guests can check out free music and comedy shows. Breakfast is free, dinners are cheap, and the hostel offers discounted activities and tours around town that you can consider your itinerary pretty much set.